I got some happy mail yesterday from my friends at Harveys! A piece from their new collection which I got a chance to share a preview of here. 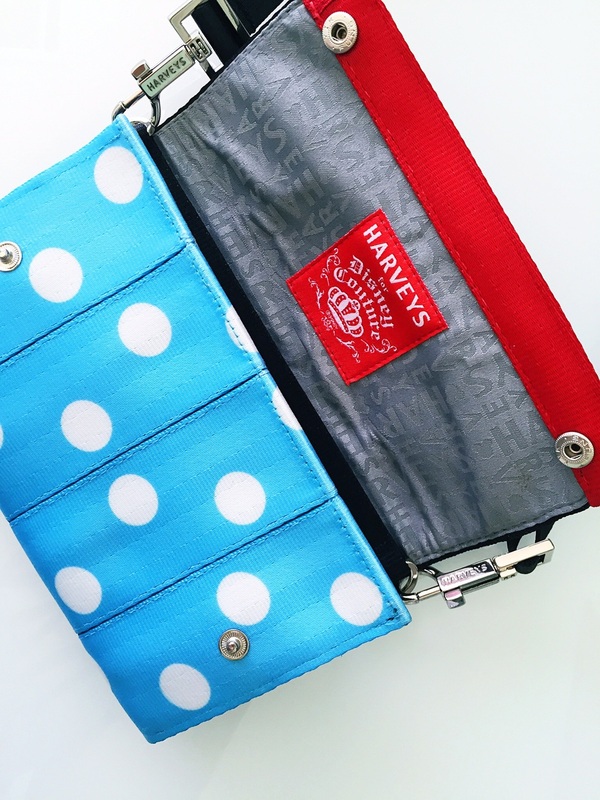 The team at Harveys sent me the Streamline Wallet in the new pattern inspired by my favorite, vintage Minnie. 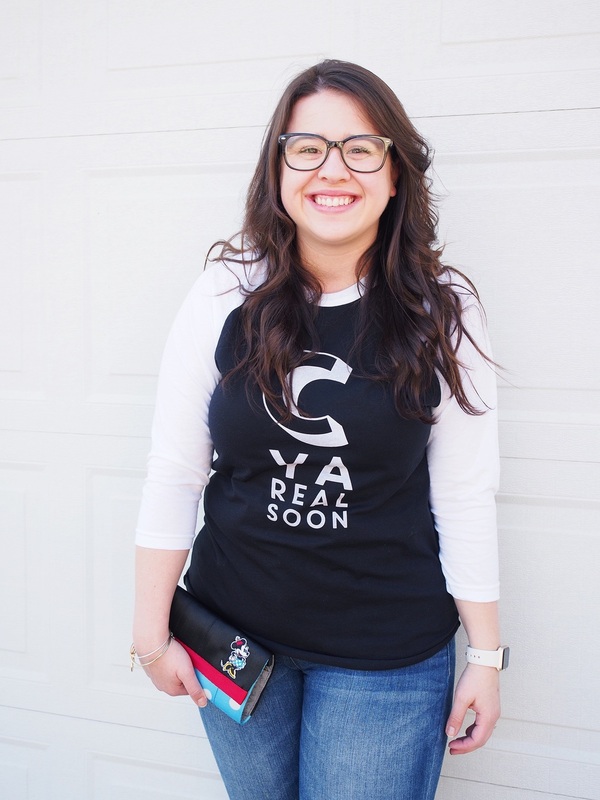 PS The tee I am sporting is a NEW tee coming to the Happily Ever Tees shop next week! I love this piece because of the versatility. It can be used as a wallet and even as a cross body bag or hip pack when you use the detachable strap. 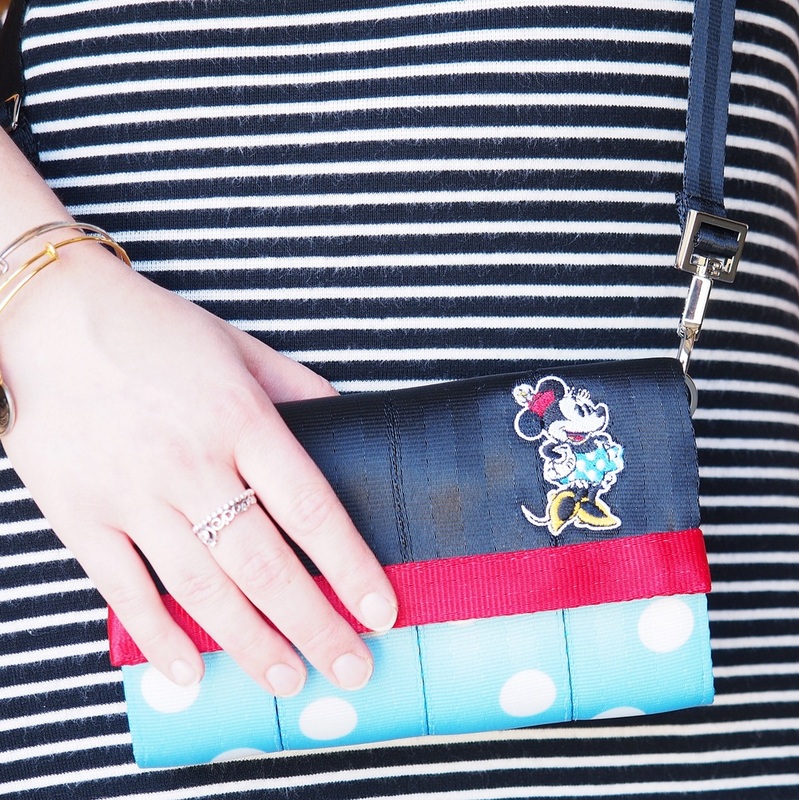 The size is perfect for all of your essentials. 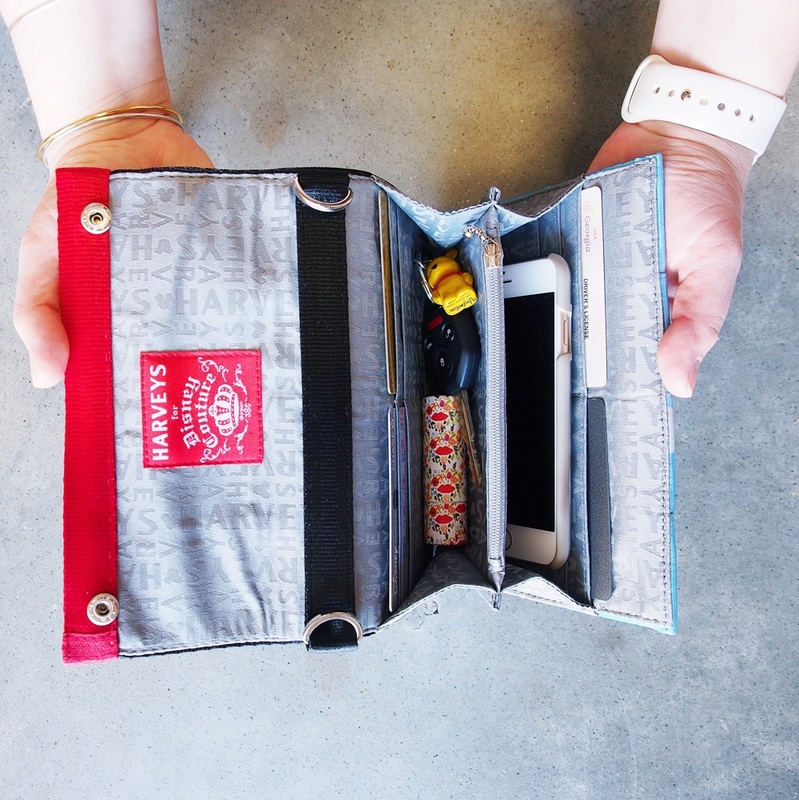 The Streamline Wallet has 10 credit card slots and a center zip pouch. It also has enough space to fit my iPhone 6, lipstick and a few other things with the gusseted sides. The double snap closures on the flap allow for all of your items to feel super secure. As always this piece feels super durable which is what I have come to expect and love from Harveys. The hardware on the bag is great quality and the stitching is top notch. You can tell how much pride they take in their made in the USA bags. This to me is the perfect travel accessory as it works seamlessly as a wallet in a larger bag, to a cross body with your essentials by just adding the strap. The polka dots are really what made me fall in love with the new collection, but I love that the black is continued on the back. I know a lot of people worry about color transfer (from clothes, especially jeans, to bags) and this takes all of those worries away - although Harveys are SUPER EASY to clean! 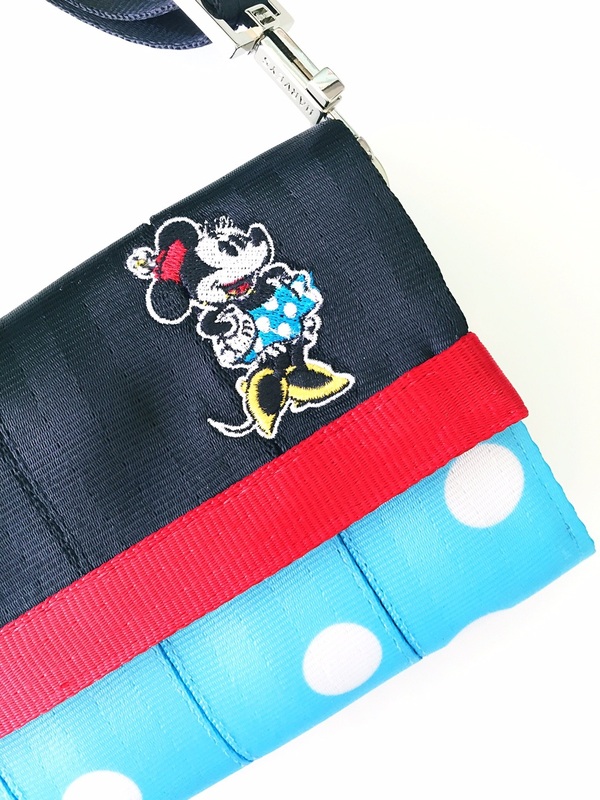 I am a Disney loving Minnie girl so this new collection is perfect for me, and using this around the parks. However, if you would prefer a neutral (aren't polka dots really a neutral though) color Harvey's has you covered. More can be found on the ShopHarveys site as well. More cute Disney inspired Harveys. Are you going to try to pick up anything on launch day from the new collection? One more BIG THANK YOU to the team at Harveys for sending me this piece and giving me the opportunity to share the new collection!